Retail-Individuals who have valid Aadhaar card with an active Aadhaar-linked mobile number and email id can open trading and demat accounts online. Thanks to Aadhar. Aadhaar Card to ensure the Aadhar number is entered correctly. 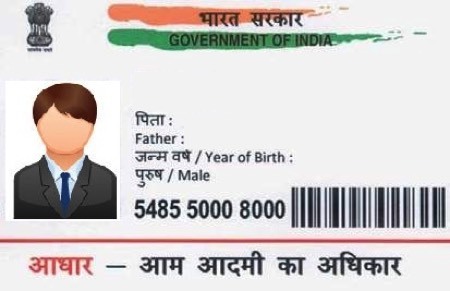 PAN Card to ensure that the PAN Number is entered correctly. The mobile device with which the mobile number is registered with the Aadhaar database or UIDAI, so as to receive the OTP. Scan of personalized cancelled cheque or latest bank account statement, which is required to be uploaded. Please note that in case the cheque does not include your name and in case the bank proof does not mention the IFSC & MICR code, application will be rejected. Step 2: Once validation of PAN and Aadhaar is completed, the applicant needs to select the market segment he wishes to trade in, address that he wants to use, other personal details and bank details. Soft Copies of Document proofs must be uploaded when prompted. Since all processes are completed online, the account activation takes only a few minutes. Since non-individual clients do not have Aadhaar, they are not eligible for this facility. In case the mobile number is not mapped to the applicant's Aadhaar, he can fill up the form online, take a print, sign and send the same physically to the broker's office. At present any account that will have two signatories (Joint Account) even if they are Aadhar verified cannot open an account using Aadhaar signatures.They will have to follow the offline account opening process.